It’s Friday and that means a fresh Rafflecopter giveaway linky! Enter yours below or browse the great selection of giveaways. Also be sure to check out the Rafflecopter Giveaways listed here at BGD for even more great giveaways to enter! We now tag Rafflecopter giveaways so you can find them easily! 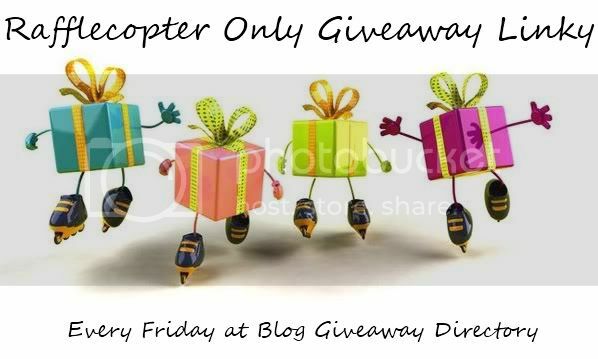 Come back every Friday for a new linky that is for RAFFLECOPTER giveaways only. Be sure to include an end date with each listing. Giveaways not using Rafflecopter will be deleted. Not using Rafflecopter for your giveaways? We ask that you don't link up your giveaway here but you can feel free to use our Friday giveaway linky over at A Heart Full of Love.